Johannesburg, 26 November 2018: Over the last few years, South Africans have been (rightfully) outraged by the fact that many of the country’s schoolchildren are not able to learn at school because they do not have textbooks. Or toilets. And yet, for many disabled children, even going to school or learning to read is impossible because they lack critical assistive devices, such as wheelchairs or hearing devices for children with hearing impairment. According to the National Council of and for Persons with Disabilities in South Africa (NCPD), the consequences of having to go without assistive devices severely impacts the quality of life of persons with disabilities. While the National Department of Health is mandated to supply such devices, the NCPD says that its poll of its affiliates shows that there is under-provisioning of assistive devices across all nine provinces by the government healthcare system. In its Position Paper on the Under Provisioning of Assistive Devices for Persons with Disabilities by the State Health Care System, with specific reference to the Northern Cape, the NCPD notes that the Department of Health is failing dismally in providing wheelchairs according to need, especially customised wheelchairs tailored to children’s specific requirements. “Without a wheelchair, a person with severe mobility impairment implies a life devoid of even nominal functioning and confinement to bed, to such an extent that it is life-threatening. In fact, people have died as a direct result of having to go without wheelchairs,” the paper reads. It goes on to highlight the dismal state of affairs in the Northern Cape. According to a letter by Ms Dorothy-Anne Howitson, vice-chairperson of the NCPD and disability rights activist residing in the Northern Cape, the waiting period for wheelchairs (in 2016) was three years, with 957 people on the list. 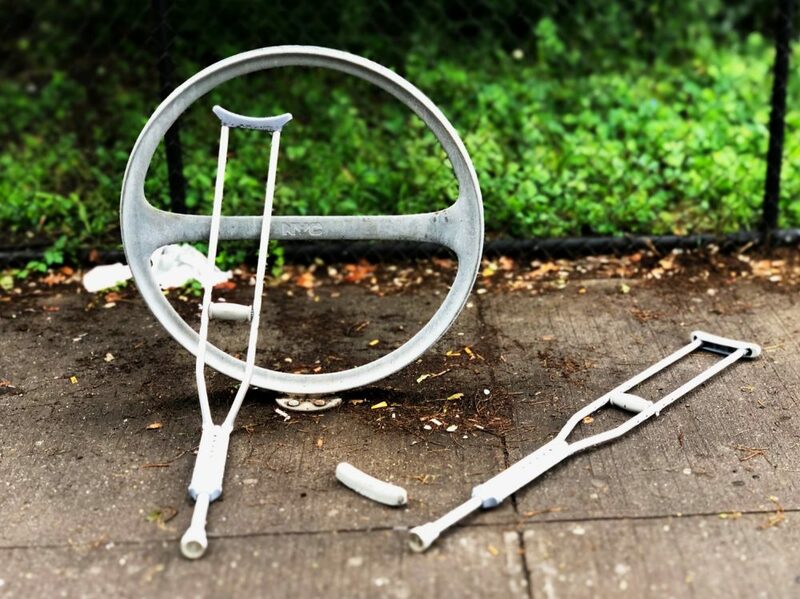 Howitson wrote that an average of 70 new applications for wheelchairs are received per month and that between May 2015 and June 2016, the names of 301 patients were taken off the waiting list, mostly due to death. She alleged that the deaths were mainly due to persons being immobile. Alongside support from sponsors – Momentum, Rebosis Property Fund and Marsh, the NCPD campaigns to raise funds for nappies through its Nappy Run™ initiative, while raising awareness about children with disabilities and their rights.